The long-running Owyhee endurance ride dates in southwest Idaho have been sanctioned for 2017. The Owyhee April Fools 25/50 (Tough Sucker) is April 1. 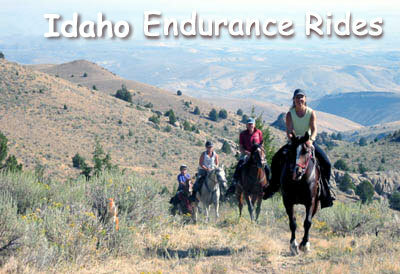 The City of Rocks Pioneer 3-day ride is June 8-10 in Almo, Idaho (almost Owyhee!). The Owyhee Canyonlands Pioneer, which also includes the 2017 Distance Horse National Championships AHA & ApHC (Appaloosa) hosted by the Arabian Horse Association, is October 6-8. The Owyhee Hallowed Weenies 25/50 is October 28.